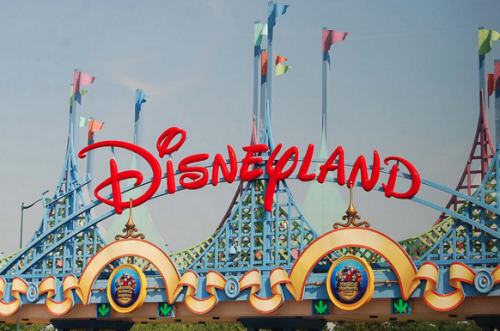 Two federal lawsuits involving the Walt Disney Company demonstrate the complexities involved in ensuring compliance with immigration law. Two former employees of The Walt Disney Company are seeking class action status for their lawsuits, filed in federal court in Tampa, Florida against both Disney and two firms, HCL and Cognizant, who were contracted with Disney to provide foreign personnel to support the company’s information technology operations. The plaintiffs claim that Disney and the two consulting firms violated U.S. immigration law by intentionally using H-1B visas to bring immigrant workers into the U.S. with the specific objective of using them to replace incumbent American employees in the same jobs. The cases represent the first time that American employees have filed suit in federal court against both their former U.S. employer and outsourcing companies over the controversial H-1B program. Over the last two years, Disney has made changes to its internal operations in areas such as accounting, information technology and general administration to reduce costs and otherwise gain new efficiencies. Outsourcing companies who have been contracted with by Disney and Southern California Edison have already been under investigation by the U.S. Department of Labor (DOL) over questions about legality of their strategies and practices. Under the law, employers who utilize the H-1B visa program are required to declare to DOL that hiring foreign personnel under the H-1B program will not “adversely affect” the working conditions of U.S. workers similarly employed. The suits specifically reference this requirement in suggesting that Disney and the outsourcing firms “lied under oath” when they indicated in their H-1B filings that there would be no adverse impact on incumbent U.S. personnel. In both of the recently filed cases, the plaintiffs indicate that they were actually required to train their replacements and were then denied opportunities to be rehired at Disney for the same or other positions, despite having no disciplinary issues or other disqualifiers one would normally associate with ineligibility to secure continued employment. Employers who utilize foreign workers through the H-1B program or other avenues should be fully conversant with the limitations and requirements of each program. Furthermore, employers should not rely on the assurances of outsourcing companies or consultancies to assume that they are, indeed, in compliance. Furthermore, employers should fully define the business case for their decisions and establish a clear line of separation between strategies to secure foreign personnel due to clearly defined skills gaps in the incumbent workforce, and other strategies designed primarily to reduce costs or enhance workforce flexibility, lest they unwittingly find themselves violating federal immigration law.